Tijuana Estuary held an Exhibit Wednesday night titled "Why Animals don't Wear Clothes"
Tijuana Estuary held an Exhibit Wednesday night titled "Why Animals don't Wear Clothes" showing how their bodies had different covering to protect themselves and send messages. A fun and educational evening for families including hands on experiences and demonstrations was held at the Tijuana Estuary Wednesday night. shells provided protection. For Birds they demonstrated how color and pollution affected their feathers. Birds with bright colors warned birds of other species and attracted mates. The feathers resist water but are damaged by oil and pollution such as chemicals used in gardening and pools, oil from cars having oil changes and not being disposed of properly and runoff getting into the sewer system as well as pollution from factories and other wastes. They did demonstrations with water on the feathers and how they reacted after being in oil. 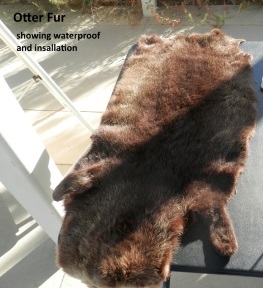 On fur they did demonstrations of how the fur insulated the animal from the weather and camouflages them from predators. Scales come in all different forms and different groups. some are smooth, some have ridges, some look like shells and some are flat. 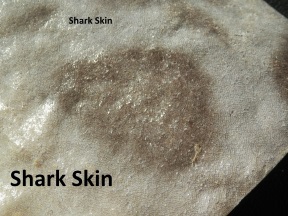 They were able to look at the scales under microscopes and they had 2 pieces of shark skin for everyone to feel its rough and sandpaper like texture. Snakes and Reptiles were the last group they covered. They showed how they were protected by either scales or scutes. Each picture they had was then sorted by the type of covering by the participants there for the demonstration. A good time and wonderful learning experience was had by all. In my 45 minutes there they must of had well over 50 people come through and the program went on from 5 to 7pm at the Estuary Visitors Center. Look for DigImperialBeach.com to start having more coverege of events on the Estuary as we hope to expand our informtion and reporting.